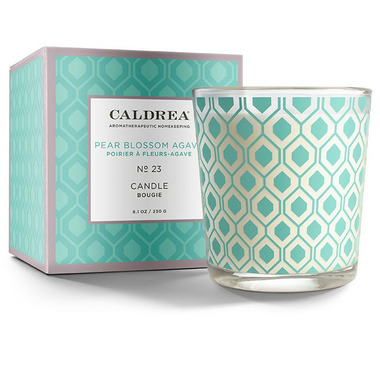 Create a welcoming space with the Pear Blossom Agave Candle, rich in essential oils exuded from a natural vegetable and beeswax base. Up to 45 hours of burn time. The sky is bright and blue. The soil so fertile, flowers and trees look ready to burst. 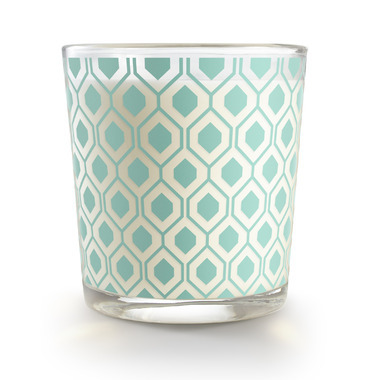 With every breeze, you sense a new fragrance: fresh pear blossom, ripe citrus and succulent melon. A perfect harmony of summer in bloom. Directions: Remove all packaging before lighting candle. Always place candle on a heat resistant surface. Before lighting, trim wick to 1/4”.